Pass through the tide of time, in search of the meaning of life, Reef Tiger never stop explore the professional watchmaking spirit. In the course of history, every new product release, Reef Tiger constantly using modern spirit to interpretation the classic of time. 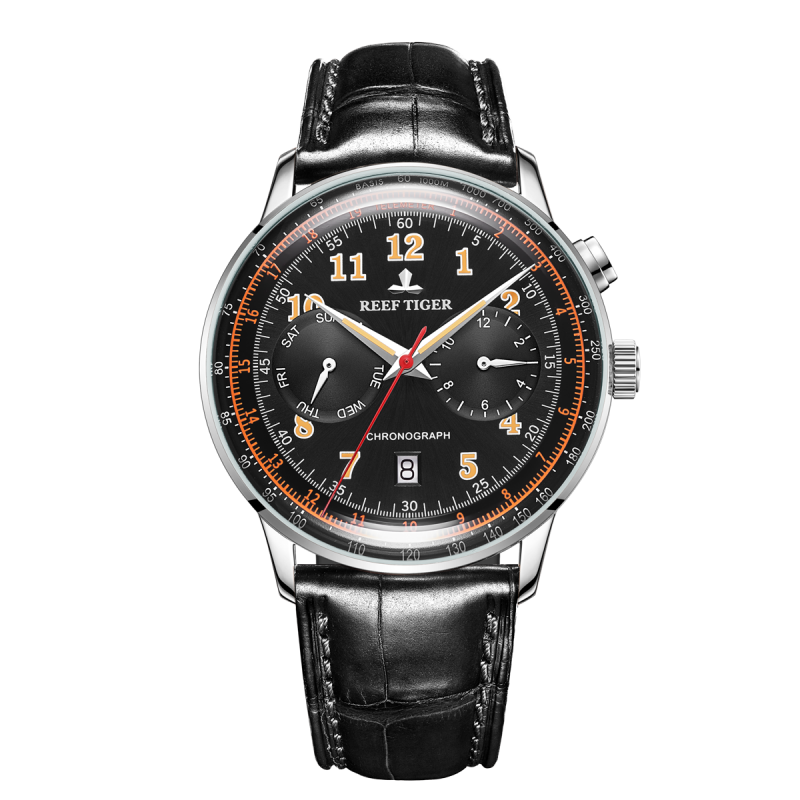 Today, the new launched Respect Limited Edition watch use its gracious and elegant designed with automatic movement to continue the classic of time. 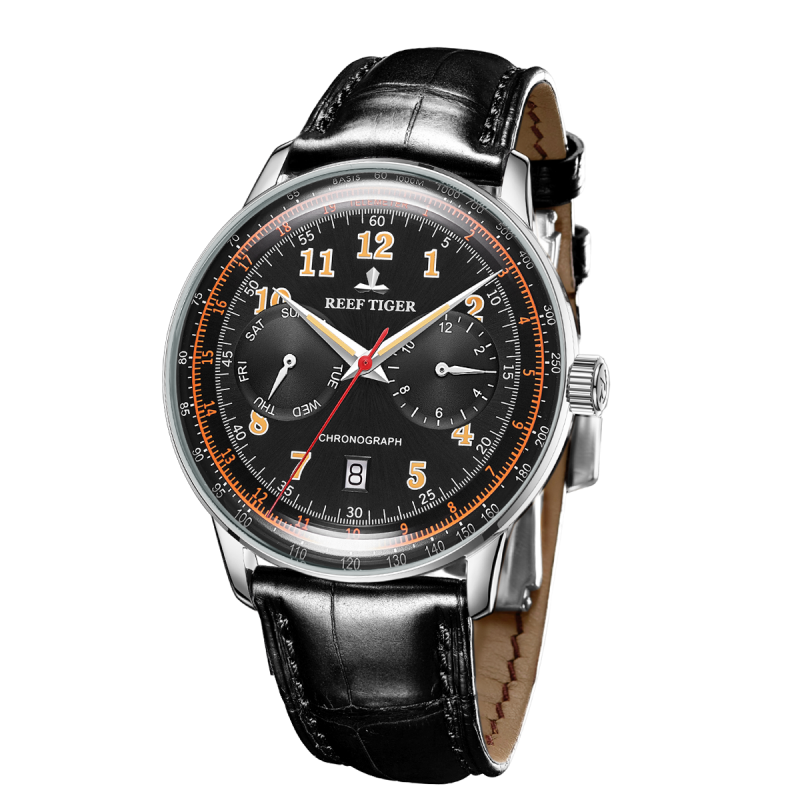 This watch is available in a case crafted from stainless steel. The case carries a fixed bezel. 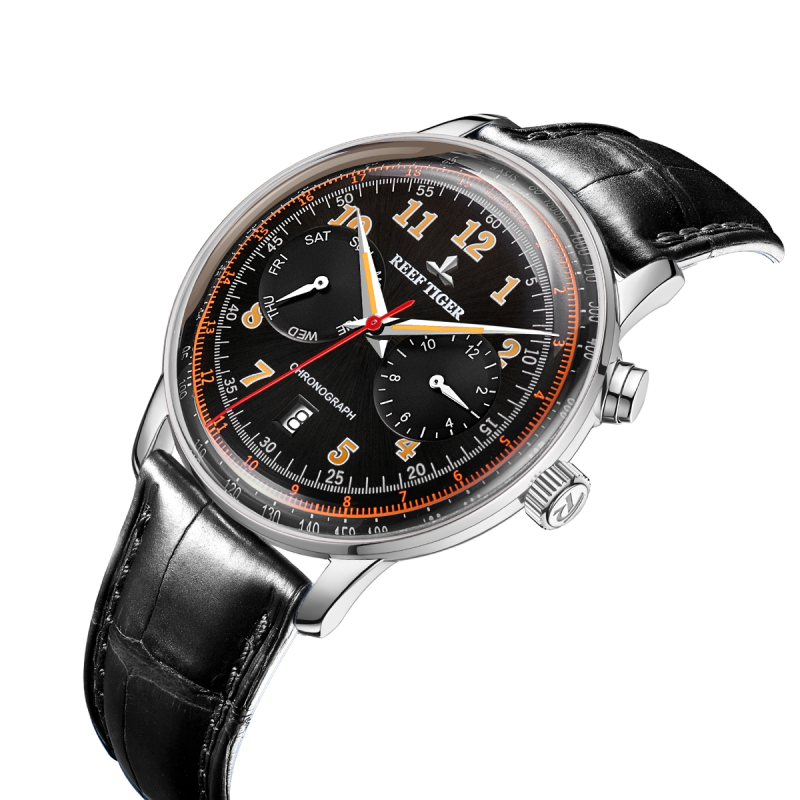 The dial, created in black, it is completed with Arabic numeral markers. The display is controlled by a Reef Tiger RT8600 Automatic Movement. Keeping the watch secured to the wearer's wrist is genuine leather strap with push button hidden clasp. Waterproof to 50 meters. Seattle Respect Limited Edition Men's Watch. The durable, stainless steel case fitted with create professional looking proposals and presentations. Durable poly front and back covers with coordinated. 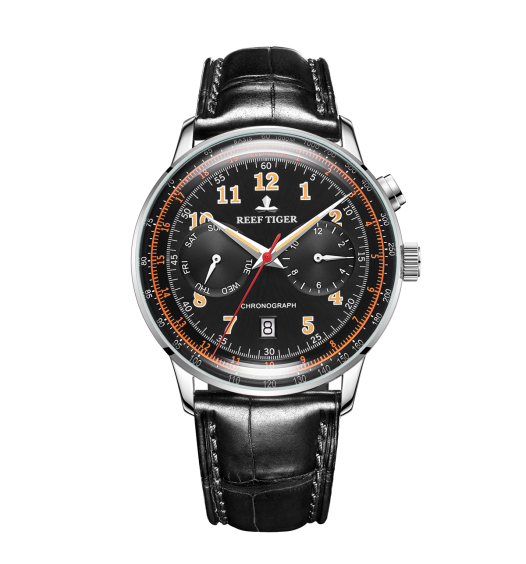 Black dial with Arabic numeral markers. Hours, minutes, seconds, day, date display. This Luxury watch has its logo on the dial at 12 o'clock. Genuine leather strap with push button hidden clasp. Hours, minutes, seconds, day, date display.